If Irish history in the popular mind falls down by not acknowledging the role that Britain and other places has in our history, it also falls down by seeing events in Ireland as happening in a bubble. That is most obvious when it comes to the conflict that has become know as the Williamite Wars. As we noted last week, James II landed at Kinsale in 1689. 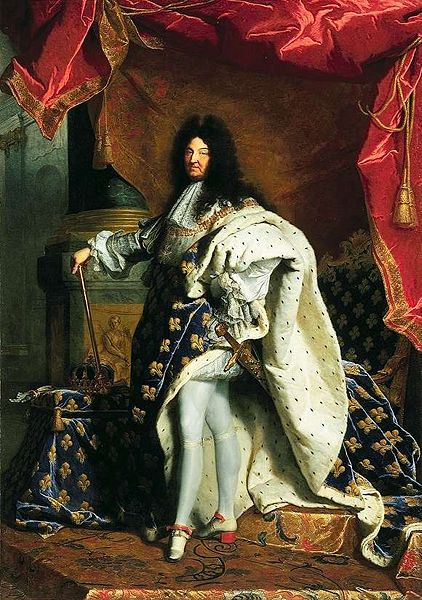 A little over a year later on this day the King of France, Louis XIV, sent a force to support his ally. William, the protestant Prince that a combination of internal machinations and military might had placed on the throne of England in 1688 in what became known as the Glorious Revolution, arrived in Carrickfergus in June 1690 and it was clear that a resolution to what was James’s final chance to regain his throne was not far away. But victory for either side would have represented victory for opposing European power blocs, catholic absolute monarchy one the one side and protestant limited monarchy on the other. Not that the monarchist element was always that important. Thus the conflict when it came was a turning point, not just for Ireland, but for Europe and for a much wider conflict, one that shaped subsequent decades. Of course the conflict saw one of the largest battles fought on Irish territory, at the Boyne. That battle was an incredibly multicultural event with Dutch, Danes, Germans, French, English, Scottish, Irish, Swiss, Italians, Norwegians and Poles fighting on the various sides. William was victorious but the war dragged on for some time. The truly decisive battle was fought at Aughrim in 1691 but the siege and treaty at Limerick which resulted in the military adventures of many an Irishman and the legend that is the Wild Geese and what is more, the creation of at least one genuine Irish Hero, Patrick Sarsfield are the events we are most likely to recall if we recall anything past the Boyne.. Written by: Eoinpurcell on 16 March, 2010.on 4 August, 2010. One Response to "Today In Irish History – Louis XIV Sends Troops To Ireland, 16 March"